Stockholm and Malmö are two popular Swedish destinations. Stockholm is the bustling capital city while 370 miles (600 kilometers) away is Malmö, a coastal metropolis in southern Sweden. How to travel between Stockholm and Malmö really depends on what kind of traveler you are, how much time you have, and what your budget is. The recommended route for the time and money would most likely be by train, as it only takes a few hours and is very affordable if you buy economy tickets. However, there are easy, direct options by plane, bus, and car as well. The good news is that there are many flights available between Stockholm and Malmö, most by SAS, Norwegian, and airBaltic. The flight time is only about an hour, so the airplane option is definitely a time-saver for busy travelers. The downside is that traveling by air usually costs a bit more than taking the train or bus, but it's still quite affordable (especially when you include nearby airports in the comparison). For example, one-way flights can be found for $98, which is relatively low but still more than double the cost of a train or bus ticket. 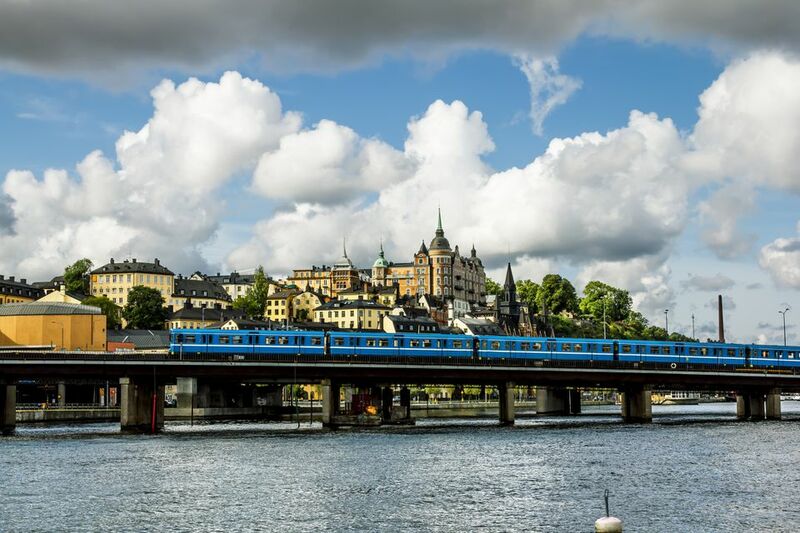 Taking the direct train between Stockholm and Malmö is a reliable and affordable option. The trains depart every few hours and take a little over four hours to connect the two cities. And the price tag? Train tickets from Rail Europe are cheaper than flying, with economy tickets costing as low as $19. Plus, the departure times are more flexible in case your plans change, and the train is a great way to see the Swedish countryside. If you'd like to take your time and make stops along the way, you might want to rent a car and drive to Malmö. It takes approximately six hours to drive from Stockholm to Malmö, and the route is easy. From Stockholm to Malmö, simply take the E4 almost all the way to Helsingborg and from there, look for exit 30 to turn onto the E20/E6 to Malmö. On the way from Malmö to Stockholm, follow the E20/E6 for 55 kilometers north to the Helsingborg area, and turn onto the E4 toward Stockholm. It's not advised to take the bus unless you have a lot of time or are strapped for cash while traveling. The bus is the longest mode of transportation, taking between eight to 10 hours. However, it is the cheapest option, with some tickets costing a bargain-bin $15. An alternative for budget travelers would be the night bus, so you can save on a hotel room while on your way to Malmö and sleep during the journey. Look for Swebus at the bus terminals; there are several direct connections every day. To get a seat, you can either pay the driver or book a ticket on the Swebus website.